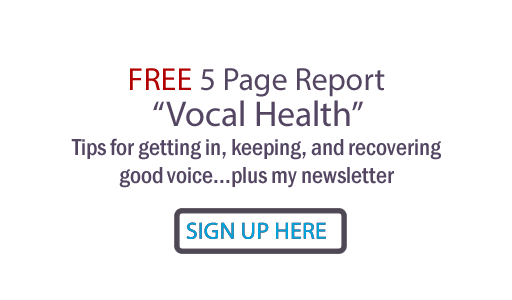 Judy Rodman - All Things Vocal Blog: Voice lessons... How many should you take? Voice lessons... How many should you take? So you decide to take voice lessons . How many should you take? The short answer: as many as it takes to get you where you want to be. If you are looking for a vocal assessment as to how you are singing right now: One. At this assessment lesson (one or two hours is recommended), you should get a professional opinion as to how well you're singing right now, and what it might take to get your voice ready for where you want to go. You should also get help with your weakest area(s) AT THE FIRST LESSON... so no matter what, you will get real, and immediate, benefit for whatever money you spend on vocal training. If you have vocal problems such as straining, weakness, breathing issues and/or performance communication disconnect, you should take as many as you need to conquer those problems. At the first lesson, major problems the teacher notices should be spelled out for you. If you are a long-distance student, I recommend scheduling an assessment lesson, getting the cds and coming back for a lesson whenever it is convenient for your travel schedule. If you have studied with me, you can also schedule phone lessons from time to time as necessary when you can't get in to my office. If you are a professional vocalist, my recommendation is to stay in touch with your voice teacher throughout your career. That doesn't necessarily mean weekly lessons, but it does mean touching base with a lesson or two in between your road tour; phone lessons or when you feel something going wrong; updating your warm-up vocalises from time to time. In my humble opinion, a professional vocalist being "watched over" by a competent vocal coach is non-negotiable...protective of your career, preventing subtle, limiting vocal dysfunction from setting in. If you, for any reason, want to increase your vocal ability, keep coming to lessons. Most importantly, however many lessons you choose to take: KEEP PRACTICING the correct vocal training you have received!!! To paraphrase an old adage... use it correctly or lose it! If you practice correct technique, you will find your voice continuing to improve well into older age!